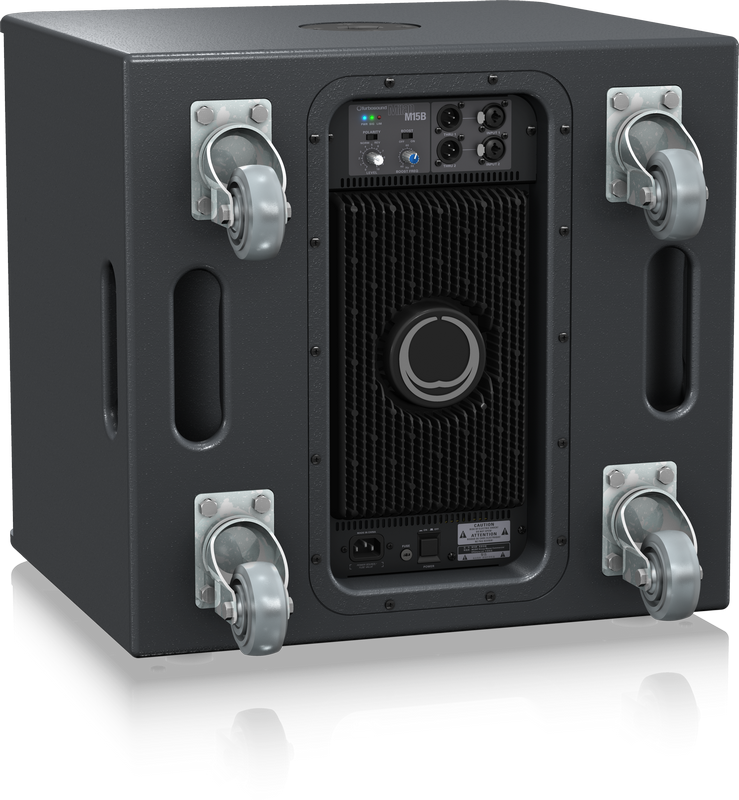 The 2,200-Watt MILAN M15B is a powered portable band pass 15" subwoofer that is designed for maximum bass extension for both portable and permanent install applications. M15B’s discrete inputs are equipped with balanced, combination ¼ " jack/XLR connectors and a shared Level control, making them ideal for a wide range of music sources, from mixing consoles, low impedance microphones, guitars and keyboards. Powerful, high-efficiency Class-D amplifiers and Switch Mode Power Supply technology coupled with state-of-the-art DSP functionality sounds very impressive – but what about the part of the system you actually hear? We are known internationally for making some of the best-sounding speaker systems in the world, so we take our drivers (woofers and tweeters) very seriously. Our LF and HF drivers are designed specifically for each application – it is what sets us apart from the competition. When you buy a TURBOSOUND loudspeaker, you can rest assured the high-excursion 15" LF driver inside has been engineered to perform flawlessly in conjunction with every other element for truly professional results. The MILAN M15B outputs massive quantities of tight and articulate bass – and works seamlessly with all MILAN Series loudspeakers.